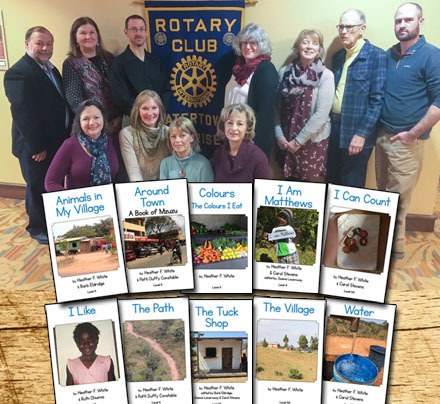 Help us get the 10 Rotary sponsored books to Malawi! Download and view our Fall of 2018 M.E.L.T. Newsletter. We are dedicated to creating opportunity through education with the publication & distribution of early literacy material. Our library is mobile, and travels to the classrooms as the teachers need material. Our team's background in education is our greatest strength. Five of our eight team members have teaching backgrounds. 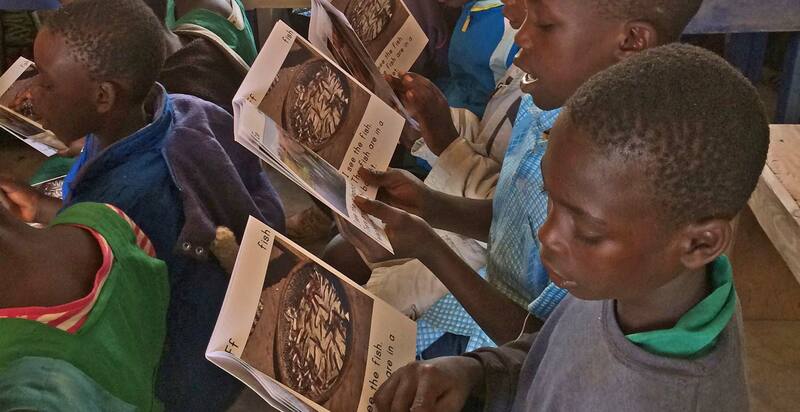 Our books & teacher resources contain images & narratives from Malawi so the children can relate to the material. M.E.L.T. is comprised of a group of education and business professionals with a passion for young children and the doors that can be opened for those children through literacy. 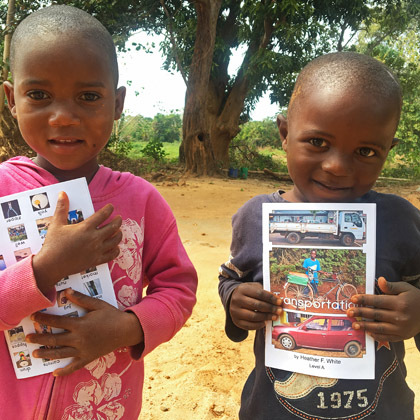 It is our mission to equip the children in the Northern Region of Malawi, Africa with up to date, culturally appropriate early literacy materials and readers. The readers we publish are about Malawi village daily life, science and culture, and basic health concepts. We will continue teacher training in the fifteen schools that we serve so the teachers can get top results when using these materials. 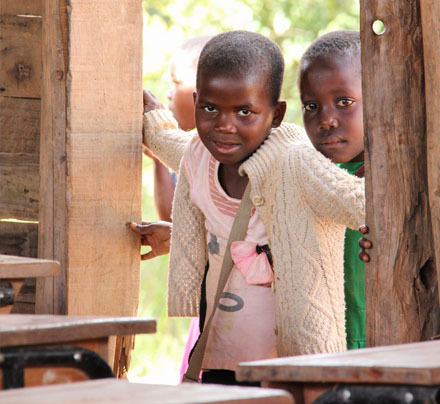 Between 2008 and 2014, five short term trips in Northern Malawi focused on training primary teachers to teach early reading. 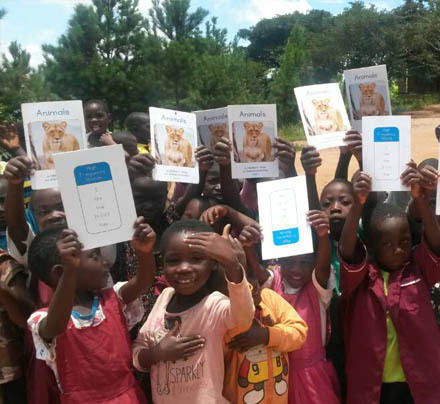 Although the Malawian teachers were grateful and enthusiastic learners, the trainers were dismayed by the severe lack of curriculum materials and early reading books. 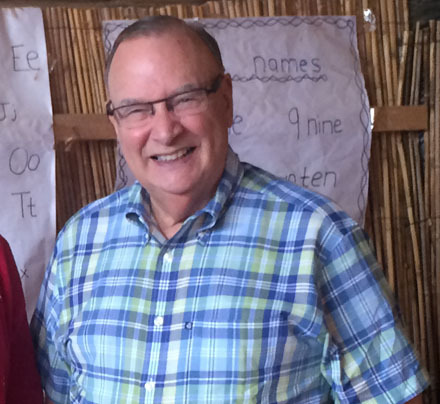 A three-person team (Margot McGorman, Mike Miller, Heather White) traveled to Malawi in April 2015 to meet with government education officials and Malawian teachers who had participated in the training program. This visit confirmed the ongoing need for early literacy readers, teacher training, and supplemental classroom literacy materials. Develops and publishes K-2 early literacy readers. Provides an alphabet fluency kit for each teacher in our program. Purchased a Land Cruiser for use as a bookmobile. Offers teacher instruction in early reading practices over the next five years. 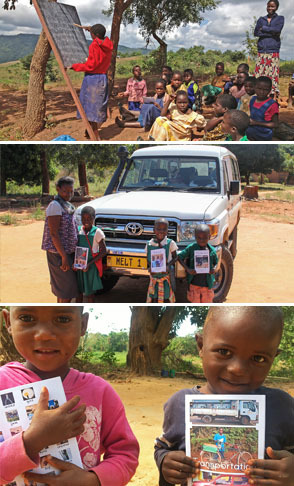 Hires a Malawi Field Director to manage the bookmobile service year round. 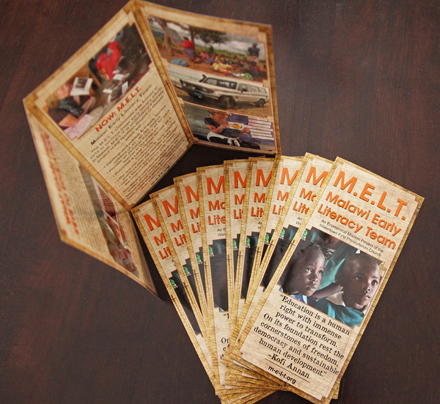 MELT is an Ecumenical Mission Project of the Watertown First Presbyterian Church. Heather recently retired after 36 years of teaching. She is a founding member of WOGWF and M.E.L.T. Heather has traveled to Malawi six times. 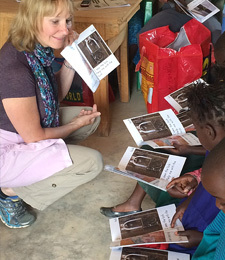 Her passion is working with the children of Malawi. 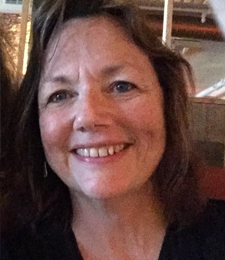 A retired teacher with experience teaching grades 1-4 and Reading Recovery. 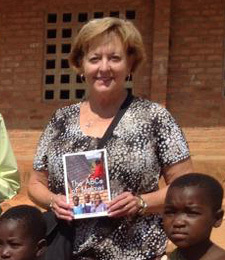 Carol was a member of the 2014 mission trip. Has worked over 35 years in the printing industry. 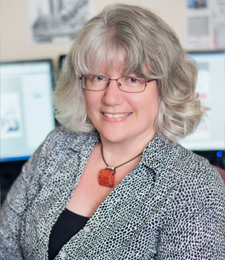 She is currently owner of a small commercial print shop. 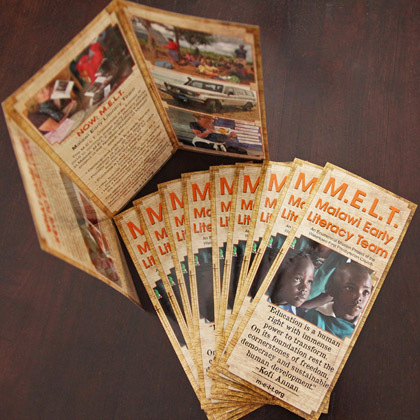 Carolyn prints the books and educational materials for M.E.L.T. Has an M.S. 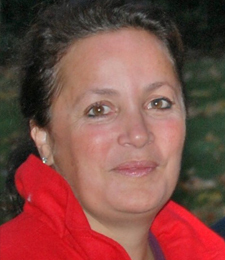 in communication disorders and has worked as a speech pathologist for over 30 years. 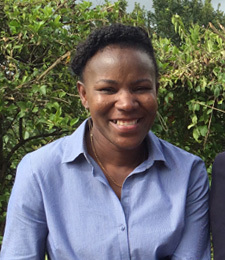 She traveled to Malawi in 2015 as a member of Outreach Council. Is a former K-4 reading teacher. 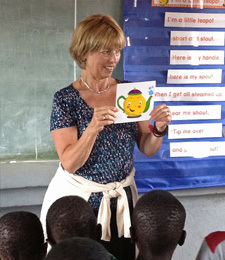 Joanne has assisted in composing books for Malawian children. She is a volunteer for community agencies. Is a retired K-3 elementary reading teacher. Barb was a member of the 2013 mission trip. While in Malawi she taught model lessons in five schools. Is a 4th grade teacher and has been in education for 24 years. She has expierence teaching kindergarten through 4th grade. Is the Field Director of M.E.L.T., as we continue to grow in the Northern Region of Malawi. 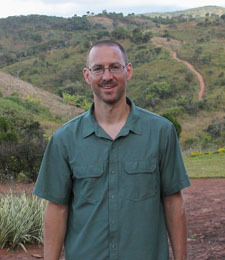 He is the connection between local Malawian officials, the teachers, & the US team. He is responsible for coordinating the Book Mobile Program. His the current Field Director for the WOGWF. 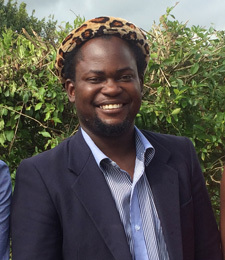 The Malawian Advisor to M.E.L.T. &. Grace is a member of Parliament & the Presidential Cabinet. 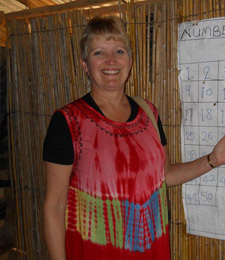 Grace is Director & a founding member of the Women of Grace Widows’ Fund, an organization that assists widows of Malawi with critical needs, housing, & village loan training programs. A SUNY Potsdam graduate with an Art Studio major & writing minor. Owner of SnakeTree Productions, and very active in his children's school PTA. He handles M.E.L.T. 's print & web design needs, as well as some photography & videography duties. The teachers involved with M.E.L.T. represent over 2,000 K-2 students. They vary widely in teacher education & classroom condition. 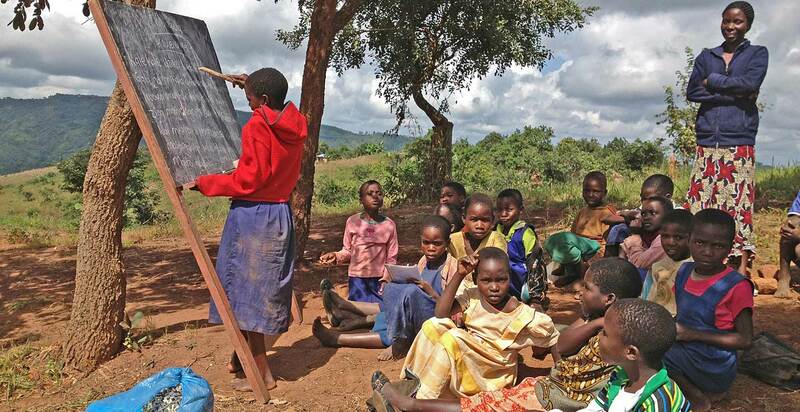 Some classrooms have desks or benches while others are set up outside with a chalkboard & stones as seats. These hard working, resourceful teachers want the best for their students & the future of Malawi. M.E.L.T. 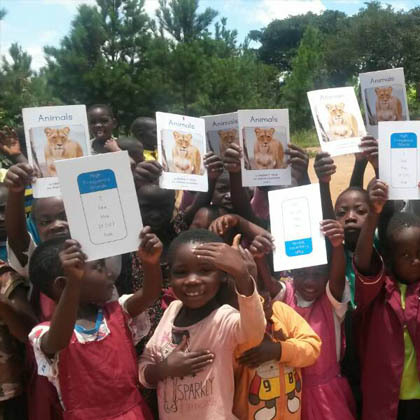 provides the teachers and students of Northern Malawi with four key services: early literacy publications, teacher training, teachers' edition manuals, and a mobile library that transports the materials to the classrooms. MELT is committed to providing culturally appropriate early readers. 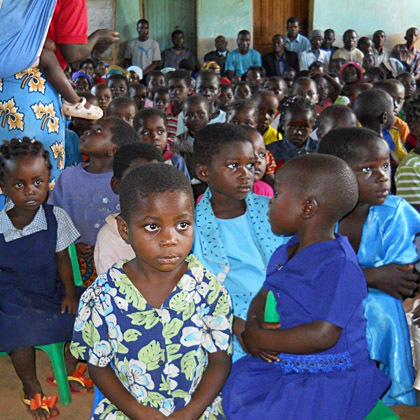 These readers will be about Malawian children for Malawian children. Research shows that when children are learning to read, they are more successful when the pictures are familiar to them. In a country where most homes do not have electricity, a picture depicting 'V is for vacuum' is useless. The book collection will include readers written about Malawi village daily life, Malawi science and culture, and important basic health and safety concepts. 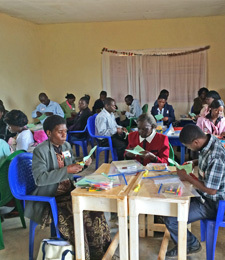 The MELT program includes ongoing early literacy training for primary teachers in northern Malawi. All teachers will receive an alphabet literacy kit and classroom training in the best practices with these materials. We will continue to provide teacher training as we publish additional early literacy materials. This will ensure that children receive high quality instruction as they learn to read. We will provide instruction manuals for teachers to use after each training workshop. These manuals will include detailed examples of the best practices for the early readers, ABC Fluency Kit, and other early literacy materials. 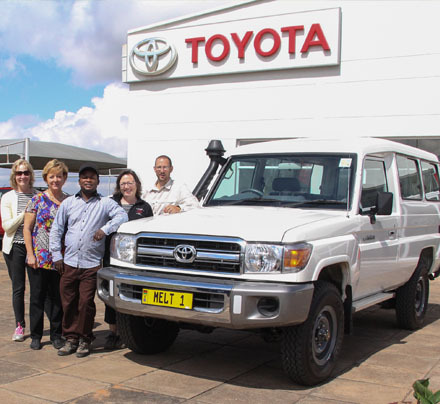 Our purchase of the Land Cruiser allows the MELT Field Director to transport materials to and from teachers in rural schools. Most of our village schools are located in the bush, over very rough terrain, making access quite difficult. The Book Mobile allows these remote schools to share a large pool of early literacy materials to teach young children how to read. You can help us provide these vital services in a number of ways: donate funds, sponsor a book, ask us to speak at a meeting or function, and spread the word. By sponsoring one of our books, you will provide the funds necessary to print and distribute the book. The book you sponsor will be dedicated to you or a person of your choice. Our goal is to publish and deliver six new books by mid-2019. Help us reach our goal. Use the link below to see the books that are written and designed, and just need to be published and shipped. 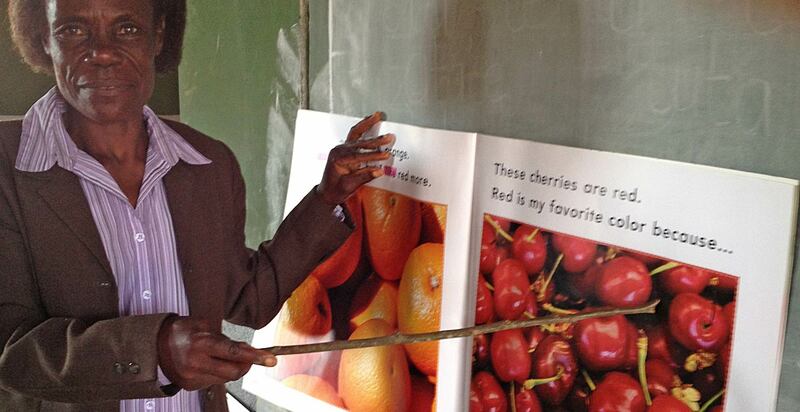 The Malawi Early Literacy Team is excited to announce our Outreach Opportunity. We would love to come and speak to your organization, church, or family gathering about our work in the Northern Region of Malawi, Africa! We have: a PowerPoint presentation, tri-folds, and samples of the materials we are using in Malawi. Please consider scheduling a visit from a team member and learn how you can help the young children of Malawi achieve literacy! 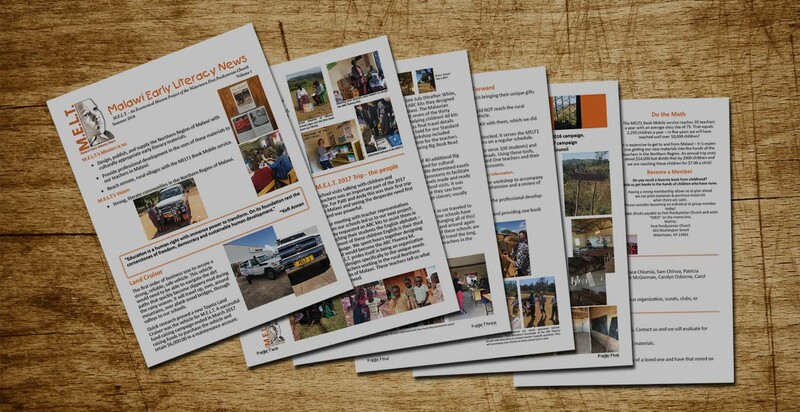 Let your friends, family and co-workers know about the cause that is taking action to fortify early literacy in Northern Malawi: the Malawi Early Literacy Team. 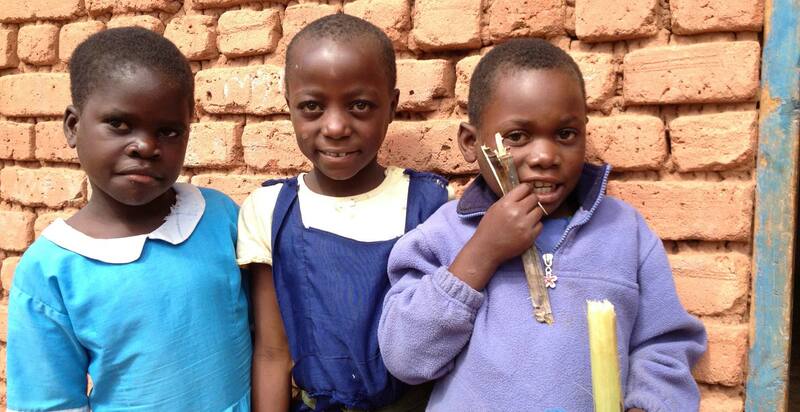 Spread the word about our mission to create and distribute much-needed litereacy supplies to the children and teachers of the remote regions of Northern Malawi. Whether you share information verbally, on paper via one of our flyers or trifolds or via social media, spreading the word about M.E.L.T. will help us garner the support necessary to carry out our goals! We're proud to announce a grant from Rotary International that allows us to publish 10 new early-reader MELT titles. 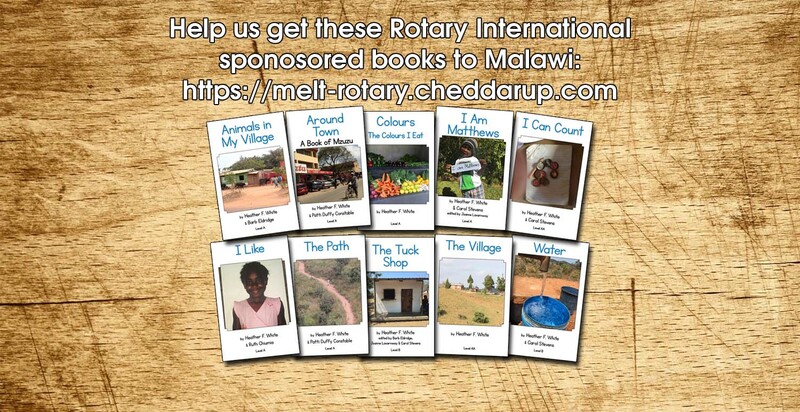 Now we're raising funds that will allow us to get these books to Malawi. This has been a particularly difficult rainy season in Malawi. Many roads to rural villages have been impassable. The MELT1 Land Cruiser makes its way over bridges and along muddy paths. Click the link below to watch our 2017 MELT video! We welcome you to like and share the video via social media. Every like, share, watch helps spread our message! The video runs approximately thirteen minutes long. Our first official M.E.L.T. trip was from June 24th to July 7th. We brought new books to establish our library, met with teachers, picked up the Toyota Land Cruiser (our mobile library), and so much more! 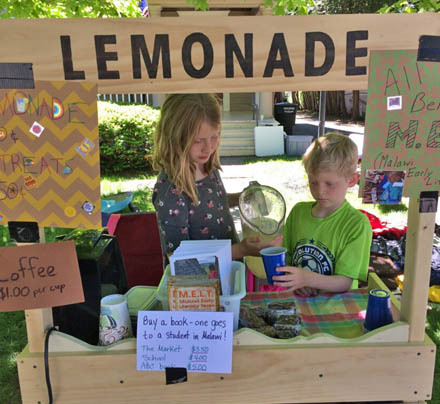 The Scherbring family decided that they'd like to have a lemonade stand during their yard sale. The family graciously chose to donate all the lemonade stand's earnings to M.E.L.T. It is with great sorrow that we share with you the news of Mike Miller's passing. Mike Miller was a founding member of M.E.L.T. and a member of the 2015 Mission Trip. Does your group or organization look for meaningful projects and causes to get behind and promote? Contact us before your next meeting to schedule a speech and discussion. We would love to hear from you. Use one of the forms of contact listed here to ask questions, join the conversation, voice your concerns, or book us to speak to your group or organization. *If you would like to specify how your donations will be used, also write: mobile library, publications, mission trips, or teacher resources. © Malawi Early Literacy Team. All Rights Reserved. Thank you for your support.